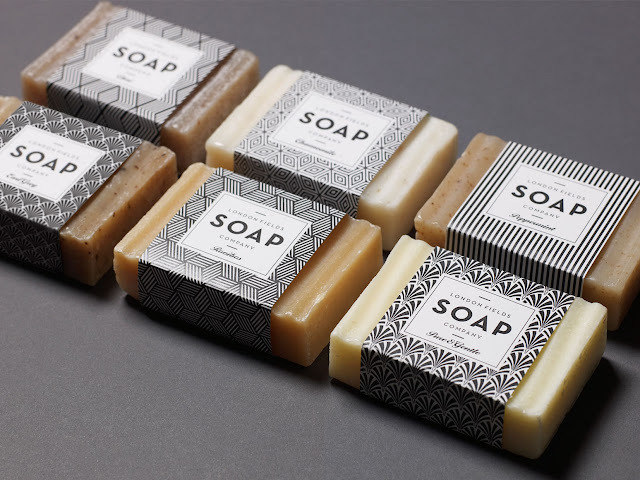 Launching as an artisan brand in east London, this new company wanted an identity that complimented their handmade, organic and beautiful products. 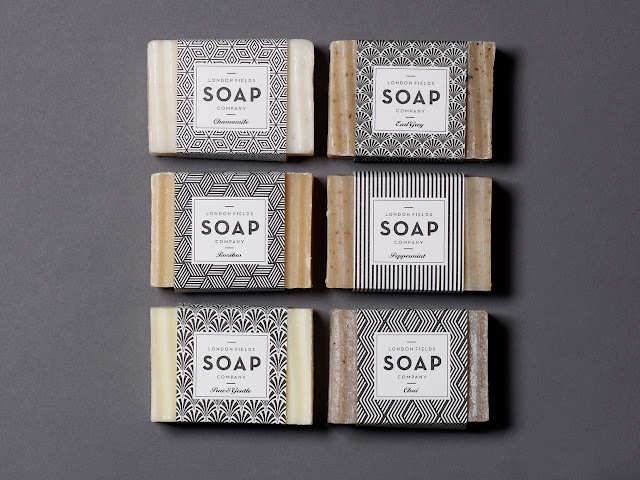 The brand’s ambition is to “bring back the bar”, with soaps that are good for the skin and the environment. 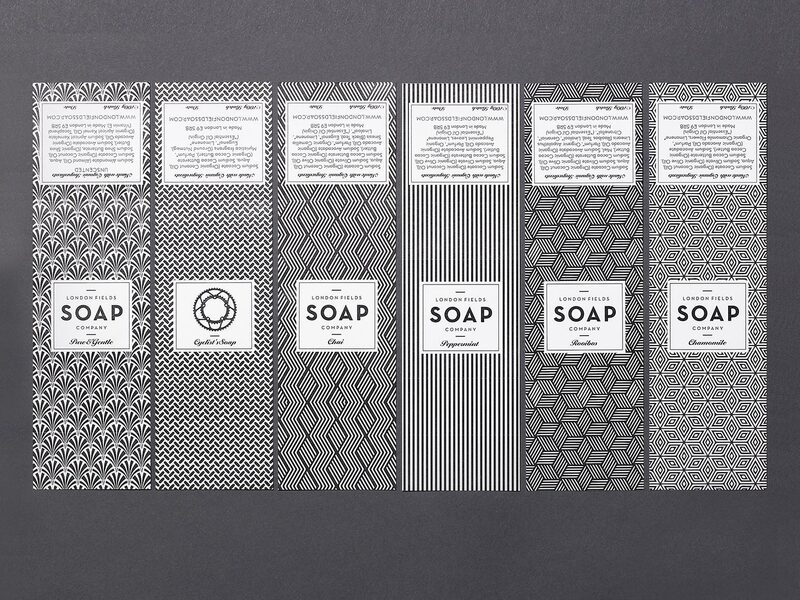 For their branding we looked to clean, graphic Art-Deco textile patterns that reflect both a history of craft and a modern sensibility. “We always want to make our soaps from only the best ingredients. 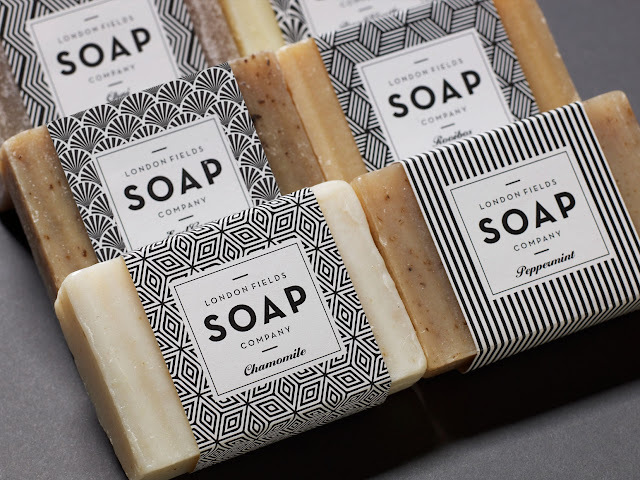 In many instances those ingredients are good enough to eat.” So says founder of the London Fields Soap Company, Tabitha Kleinert. Approaching us with a vision of a traditional but wholly modern soap product, we worked with her to evolve an identity based around her brand goals. All of London Fields Soap Company’s products are made locally by hand in small batches in Hackney, east London. Ingredients include tea and peppermint, and they also make specialist soaps including a blend for cyclists. 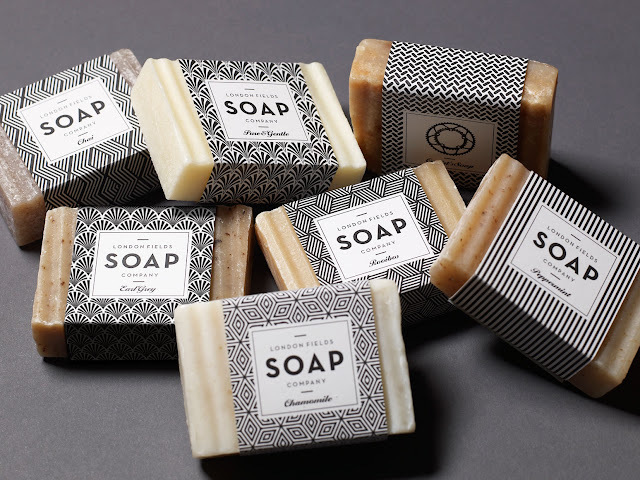 Choosing a range of art-moderne-inspired patterns for the labels, and elegant serif fonts also from the 1920s and ‘30s, we balanced these with bold sans-serif fonts to give the packaging a contemporary feel. The packaging was also inspired by place. The East End of London has a long tradition of textile design and manufacturing, including Warner & Sons, who were working in the fabric trade in Spitalfields since the early eighteenth-century, and who had a reputation for excellent weaving work of both traditional and modern patterns – through to the twentieth century. 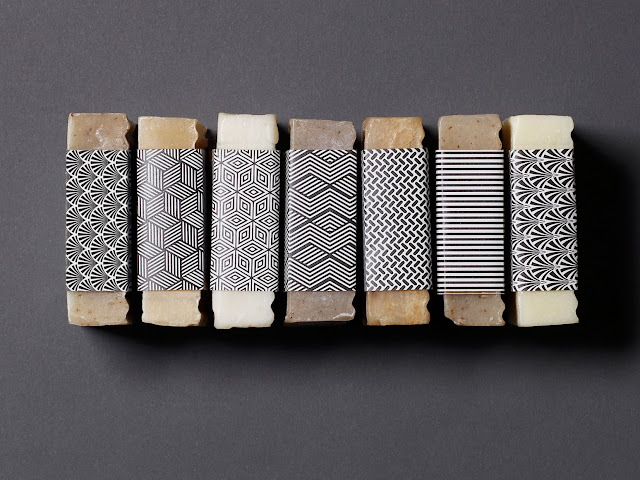 We drew on the visual grammar of craft as a way to define this new brand.